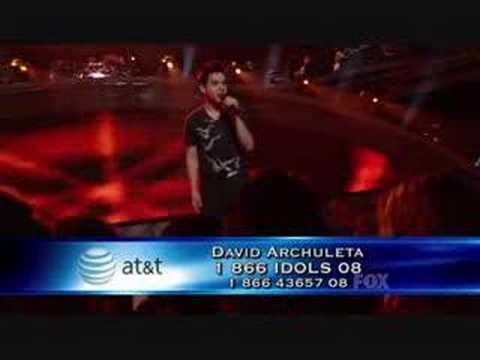 There is a song David Archuleta performed on American Idol Season 7 in 2008. It was during the Rock ‘n’ Roll Hall of Fame week and the song David chose was a big favorite of mine. There was a bit of controversy about David’s performance of the song that evening on American Idol, but no matter, he wooed everyone in the crowd with his rendition. His voice hit all the right notes and David seemed to have so much fun singing it that he included it in his 4-song repertoire on the Idol’s Live Show later that summer. Have you guessed the song? “Stand By Me” was written by Ben E. King, Jerry Leiber and Mike Stoller and performed and produced by Ben E. King in 1961. “Stand By Me” was a Top Ten hit on the U.S. charts twice—in its original release in 1961, when it peaked at #4, and a 1986 rerelease which coincided with its use as the theme song for the movie Stand By Me, directed by popular American producer, Rob Reiner. After the film opened in theaters, “Stand By Me” peaked on the music charts again at #9. 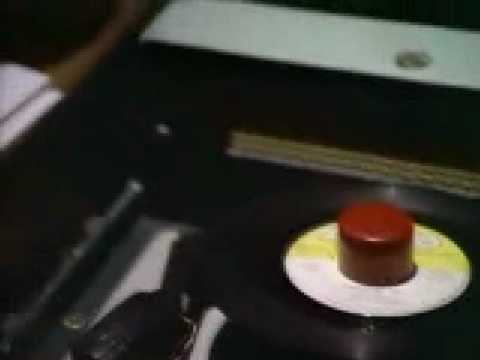 Number one on the R&B charts in 1961. Ranked number 121 on Rolling Stone’s list of the 500 Greatest Songs of All Time. In 1999, BMI named it as the fourth most-performed song of the 20th century, with about 7 million performances of the song being covered by various artists. David Archuleta’s American Idol performance of “Stand By Me” included lyrics from the song “Beautiful Girls” by American rap artist Sean Kingston. “Beautiful Girls,” recorded and released in May 2007, is based on the bass line and lyrical “association” of the Ben E. King hit “Stand By Me”. David’s version of the song led to some controversy, spurred on by the notorious TMZ, the TV tabloid, which claimed that an “insider source” said that American Idol producers did not know David was going to include Kingston’s line from “Beautiful Girls” and were afraid they would have to pay a usage fee. While Reuters and other news outlets got a black eye for rehashing the unconfirmed TMZ story, it is still not known if American Idol actually paid a fee for David’s brief “Beautiful Girls” chorus at the end of “Stand By Me.” Thankfully, the controversy was short-lived, and David went on to become even more popular with the fans after his performance that evening. David sang his “Stand By Me/Beautiful Girls” rendition during the American Idol summer tour. David singing “Stand By Me” during the American Idol summer tour. What a charming performer he is! Note the way David changed the line from the song, “they will have you suicidal,” to “they will have you in denial.” My thought is that the latter phrase was probably more comfortable for him. Listen to Song of Last Week. This Post has earned 7 Buzzes. What a powerful voice! Even when he had a cold/allergy during the 2008 summer tour, he could belt it out like this! By that summer, we fans had heard David sing “Stand by Me” several times: on AI, on morning TV shows in NYC, on The View, and then on the summer tour. Stunning every time! When he sings SBM again, he’ll have to stand on his head — just to TOP HIMSELF! The crowd loves him, especially the dancing in the “beautiful girls” part! Besides the VOICE and the hunker-down, I was struck by his slow, sauntering walk across the stage. Since I had never seen him ‘live’ before that summer, it was the first time I had noticed his easy, unhurried gait. Just like his measured pace when singing, he doesn’t hurry to get where he knows he is going…and taking the audience there too. Idol producers knew darn well David had inserted the Sean Kingston lyrics into his version of “Stand By Me” long before he performed it on live TV, as evidenced by the fact he had been singing it that way during rehearsals. On those days when I am thinking in a conspiratorial fashion, I actually believe they allowed David to go ahead with the song the way he had practiced it so that they could subsequently ban Jeff from future rehearsals as well as create more bad press for David. In other words, it was a setup. On a more positive note, I love David’s performance of “Stand By Me” in Manila. His command of the song, with awesome runs and a fabulous falsetto, are on ample display here, not to mention some smooth moves! The audience in the Philippines was very appreciative David chose to sing a song they remembered so fondly from American Idol. Katheryn, I’m glad you posted the link to the Manila performance, I had wanted to do that when I first read this blog on the 27th but I did not have time. David really had a great time performing in Manila and the crowd was so supportive. And thanks for the info from Archuleta Ave., that is a tidbit I did not know. This was a black day for American Idol and they earned a black eye, in my opinion. I never trusted the producers again. Instead of mentoring and shepherding the young contestants, they were willing to play dirty tricks on a teenager. And the news that Jeff Archuleta was banned was leaked during David’s Homecoming weekend in Salt Lake City. What a mean thing to do! Thank you so much for taking the time to view my post and respond. I put alot of hard work into each one, so the fact that you read them really means so much to me. Katheryn…I am so glad that you provided links to show that others have in fact sang the song in a simialar way to David’s performance. I have always felt that Idol likes to ‘stir the pot’ and make it’s own controversy, even when there is none…to serve their own purpose. I have a few thoughts on other things that happened during Idol’s Season7, but I will save them for another time! 😉 Whatever was said, or whatever did or did not happen, one thing is for sure and that is…. David Archuleta has incredible talent as well as class and character! His performance of “Stand By Me ” that night was simply amazing and when he performed on the Idol tour, well in my opinion he stole the show ! Take care everyone, and thanks again for your insights here.